Do you love watching movies? I hope you also do. I am a self-confessed movie fan. I love both local and foreign movies. I love to watch movies with my girlfriends, Anne and Anna, most of the time. Nothing beats the tandem of a good movie and great friends. I have a lot of movie memories with them. If I remember it right, the first movie that we all watched was Vin Diesel's, The Pacifier. We had no plans of watching the movie. We were just so tired and bored of strolling and window shopping. Back then, we were just starting to earn our own money after college. Time just flies so fast.... I feel so old now. Anna and I had our own movie bonding moments. I will never forget that afternoon when we bravely watched The Sixth Sense and Urban Legend (Final Cut). I got bored watching most parts of The Sixth Sense. But when the movie ending came, we got so scared to the extent that we couldn't scream. It was a hair-raising ending. Our experience with Urban Legend's Final Cut was different. The scene on how one of the characters was killed remained in our heads for days. That's how we can be easily frightened those days and even now that we are already a bunch of grown ups. But there are instances when I just want to watch movies within the comforts of my own room. You see, I am a home buddy. After a stressful week or during a holiday break, one of the activities I never fail to skip is a solo movie marathon. I can last for straight eight hours in bed with good movies. Of course, minus the meal and pee breaks ;-). I swear! 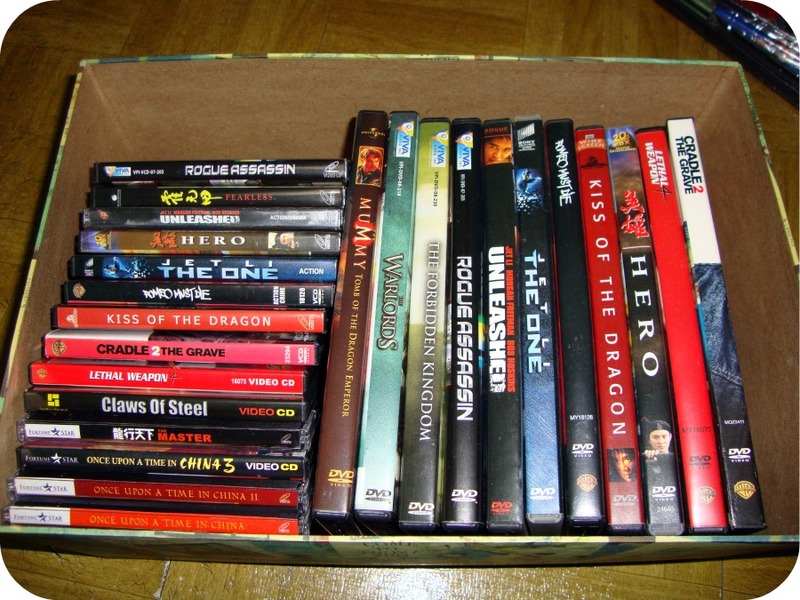 I used to rent DVDs and VCDs. 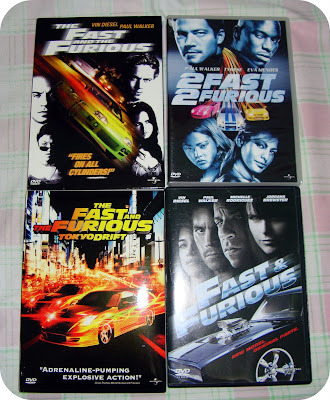 But when I started earning, I gradually splurged on some copies of my all time favorite movies. 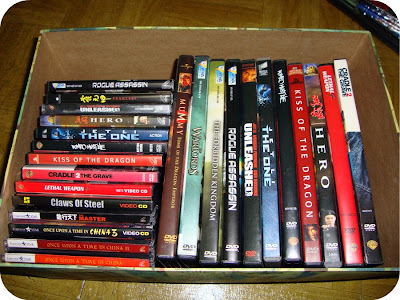 It is my dream to actually own a library of my favorite movies and a small theatre at home. Large screen, lazy boy chairs, ....thank God dreaming is still free. Oftentimes, I don't like the entire compilation sold in DVD bundle packs. 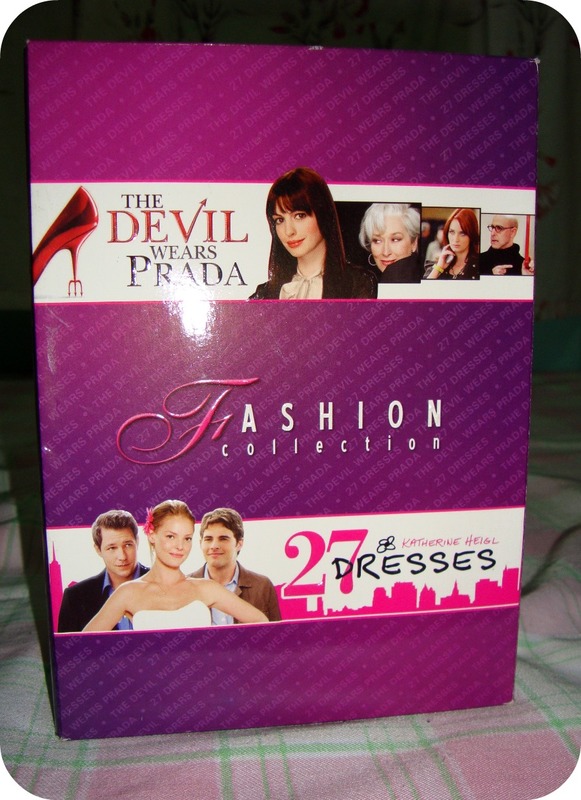 But this was a treat for me because I both love The Devil Wears Prada and 27 Dresses. Aside from the shoes, bags and clothes, I admire how Andreaaaaaah redeemed herself from the tyrant boss, Miranda. I'm sure a lot of rank and file employees aka slaves like me can relate to Andrea. It's a must see film for all of you female, rank and file employees out there! 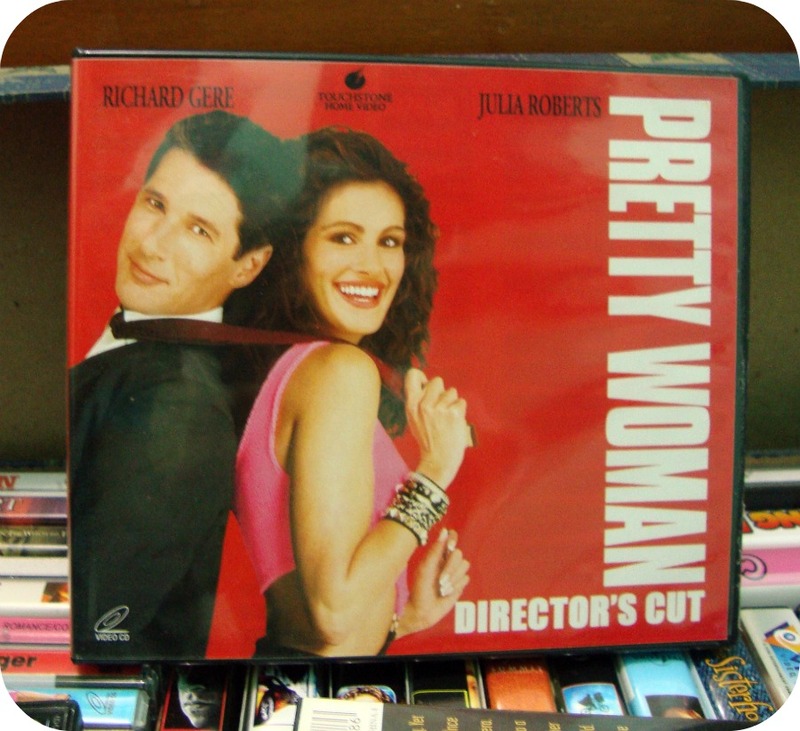 This is my all time favorite movie of Julia Roberts. I love romantic films but I don't usually prefer those with heavy drama. I prefer films with the right combination of humor and drama. If I am not mistaken, Pretty Woman was released in 1990, at the time when my age is not yet interested and suited for this film. I first watched this film from a rented VCD when I was 18 years old. It was only at that age when I started to get interested over love romantic films. Yes, I was such a late bloomer (was that the right term?). Blame it on my father and my family who was so engrossed over action and suspense thrilling films. My interest before was more on those hard action and sci-fi films. Movie for them was all about guns, ammunitions, fight scenes, and actors in black leather jackets. I was able to complete the series of Fast and Furious films. Yehey! I think this was the only film series where I have a complete DVD collection. The series will remain special to me because this was the only action film which me and my father both loved. And of course, the Kid at Heart in me will never cease.. I love E.T. and The Little Rascals and I will never get tired of watching these films. When I first saw them at Odyssey, I had no second thoughts. I grabbed and paid them without looking at their prices. They form my once in a lifetime priceless childhood memories. I seldom had the opportunity to watch kiddle films at the theaters because my mom was very strict with family expenses. 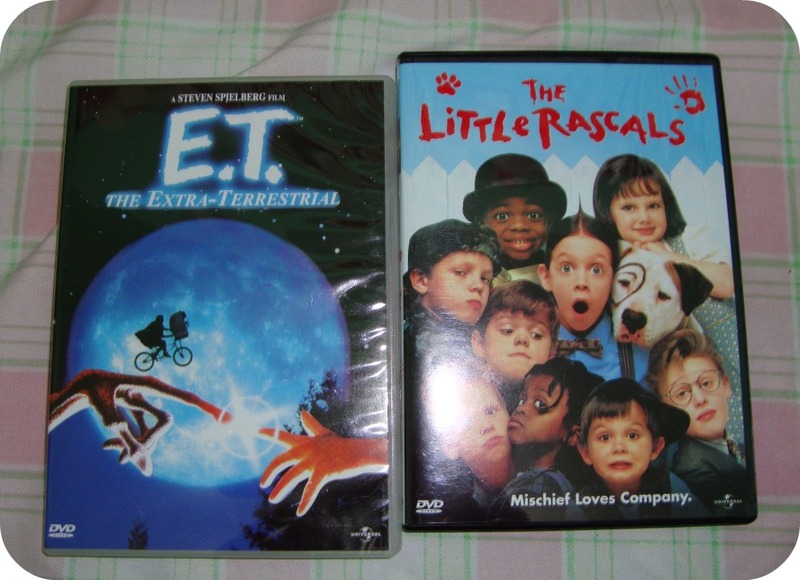 I was able to watch these films through a relative, who I envied, because they own a VHS player!!!!! (And I just made myself again feel so old.) During that time (which I will not reveal), I was stuck with my auntie's betamax player!!!! You just don't know how I felt so little just because we don't own a VHS player that time. I was such a sore loser. hahahaha! When I decided to write this post, my original plan was simply to share my all time favorite movies. Little did I know, I would be able to relinquish some happy and bitter sweet memories. This is not anymore the story of myself as a movie fan. This is about me and my weird, wonderful and crazy life. Seems you guys had fun thats great! We love watching movies on rainy days. My girls and I love 27 Dresses! Good choice! If you haven't seen it yet, you need to rent A Knight's Tale starring Heath Ledger. It is one of our favorites. I love the music in it, too. I love movies too! Staying in on a cold rainy day and watching movies is so much fun! I love Horror movies, and romantic comedies...my faves!